We are currently looking for energetic and driven individuals who want to inspire the next generation of entrepreneurs to join our team as an Entrepreneur Coach for our 2017 Summer Camp season. Information on this exciting position can be found below. Check back later for additional opportunities as a Crowdfunding Coach or Residential Advisor. Named as one of the “most unique” camps by CNN, Camp BizSmart is an entrepreneur academy held at outstanding locations like Santa Clara University and Stanford University, and gives students real business skills through hands-on learning. Teams, mentored by Silicon Valley CEOs at high growth companies like Linden Lab, Nuheara, Zepp Labs, NeuroSky, Xicato, Revolights, Vintage Electric Bikes, Zero Motorcycles, and Revolution Foods, design a product, build a prototype and write a business plan. “Hot topic” business cases and activities teach students to take an idea from concept design through financial analysis, marketing, sales and execution. 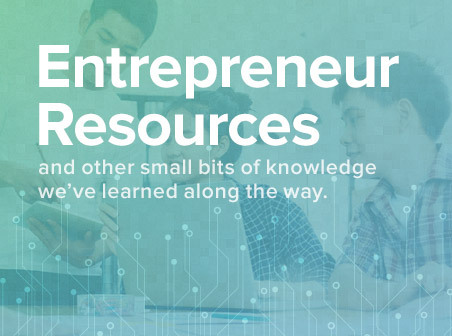 Industry experts share their entrepreneur story, wisdom and tips for success. A product design and business pitch competition, held at Microsoft, and judged by Silicon Valley VCs and entrepreneurs highlights the camp. A showcase, awards and graduation event at Microsoft celebrates completion of this amazing experience. Serve as a business coach, alongside academy founders and Silicon Valley leaders from Google, Cisco and Apple, for a one-of-its kind real-world experience for future “change makers”. Be the key to students’ success! Help ensure that students are having FUN! MUST love working with and inspiring “tweenpreneurs” age 11-19! Coach multiple summer camp sessions at Santa Clara Univ. and/or Stanford Univ. between dates of June 12-Aug 19, 2017, including option for residential stay at some sessions that include additional pay. Begin on Sunday afternoon and ends on Saturday morning of the second week. For residential staff, you will be required to remain in the dorms when students are present. This includes weekends, holidays, and when students are sleeping. We are also looking for individuals fluent in Mandarin to serve as Entrepreneurship Coaches for bilingual Chinese programs this summer. We hire top-caliber individuals, with a passion for helping others change the world. If you fit the bill, please forward your resume today.